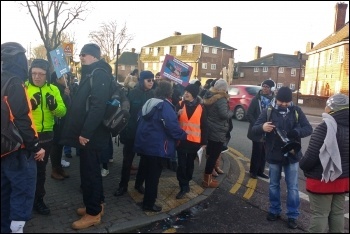 Teachers hit back at management's privatisation drive with another solid strike at Cumberland School in east London on 8 February. 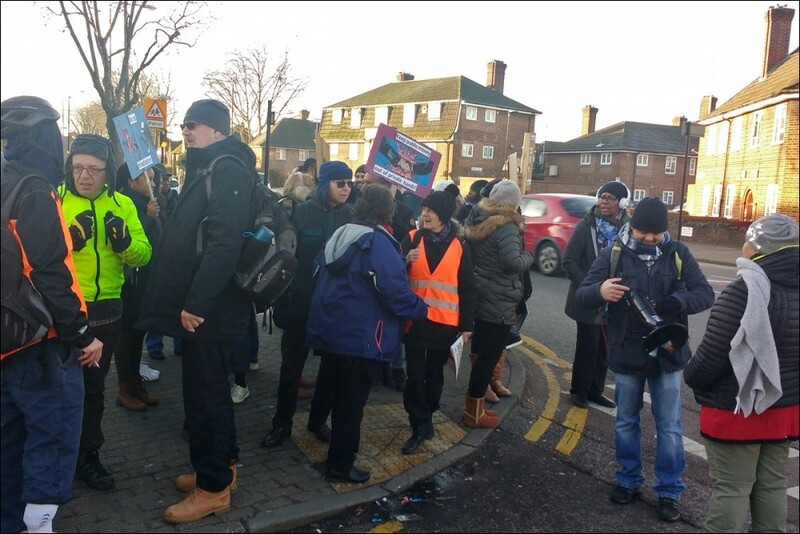 Around 40 strikers and supporting parents picketed the Newham secondary's front gate. Teachers told us they felt positive about the campaign against becoming a quasi-privatised 'academy'. Parents led chants of "Whose school? Our school!" while passing traffic honked in support. This latest stoppage took place ahead of a combined march against academisation by the borough's three striking schools. The night before, parents and teachers in the neighbouring borough of Redbridge also lobbied Highland Primary governors to oppose academisation. A workforce-led campaign of industrial action beat academisation in Lewisham, south London, with the Socialist Party playing a leading role. East London Socialist Party is hosting an open meeting to discuss how teachers, parents and students can do the same again. Speakers include Louise Cuffaro, the new National Education Union branch secretary. Louise, a primary teacher and Socialist Party member, helped launch the borough's campaign with strike action at Avenue School. Louise also addressed the Cumberland picket line, explaining academisation only serves "big business interests." Councillors in Labour-run Newham continue to feel the pressure of community anger on this issue. It has forced all three right-wing Labour candidates in Avenue School's Manor Park ward to come out against academisation. But where Labour councillors stay silent - in particular if they have connections to academy trusts - parents and community campaigners will feel justified in standing candidates against them. The Socialist Party spoke to express solidarity with the struggle. Five pickets bought copies of the Socialist. This version of this article was first posted on the Socialist Party website on 8 February 2018 and may vary slightly from the version subsequently printed in The Socialist.